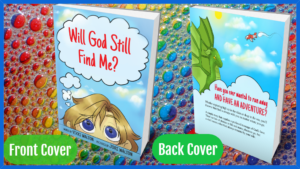 The book has simple rhymes backed up with repetition. Its message is simple and clear, providing a perfect starting point for a discussion about God’s love. 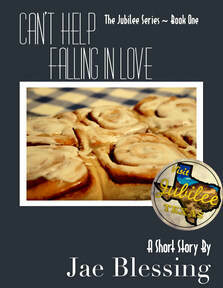 Can’t Help Falling In Love by Jae Blessing is a sweet Christian short story that will warm your heart and leave you smiling. It is the first tale in The Jubilee Series. The town of Jubilee is built on the desires of the people to be faithful to and to honour God. The town can be seen as a motif for our lives. We need to keep our eyes fixed on God and listen to His promptings. The characters are wholesome. There are some delightful verbal volleys between the two main characters. Match making comes from an unlikely source. 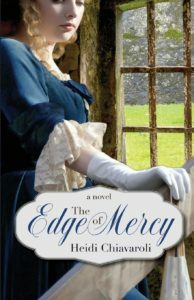 The Edge Of Mercy by Heidi Chiavaroli is a marvellous historical and contemporary Christian novel that focuses on life, love and new beginnings. God is at the heart of the novel, working in the background, longing for us to return to Him. “God didn’t show up at church… if He had I missed Him.” God is with us everywhere we go. If we cannot ‘see’ or ‘feel’ Him, maybe our eyes and heart are not really looking. When we truly seek Him with all our heart, He will be found. The novel explores the foundations of our lives. If our lives are built on anything but Jesus, we are on shaky ground. “If Jesus was supposed to save me, why did I feel like I constantly had to save myself?” We all have a God shaped hole that only He can fill, whether we realise it or not. If we continually chase after material things, we will be neglecting our spiritual life. 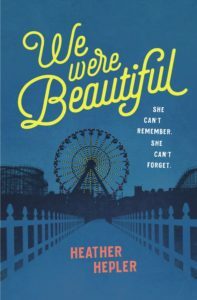 We Were Beautiful by Heather Hepler is a contemporary novel about love and loss and friendship. It is a story that goes to the edge of the abyss and survives. It was so beautifully written and has ignited and warmed my soul. Loss is a defining moment. “Death created a black hole that sucked everything into it. Love was one of those things that got lost.” People deal with loss differently – they run and hide, they back off, they try to be invisible. “I hope someday, you let someone in.” All these traits are seen in the novel. We all have scars. “Deep down, everyone has something ugly or dark or painful.” Some are visible, others not. We think we deserve to keep our scars on show to remind us of what we will never forget. A group of friends seek life. They champion the different and the underdog. They help to awaken others and watch them blossom. The friendship group warms hearts and leaves the reader smiling.